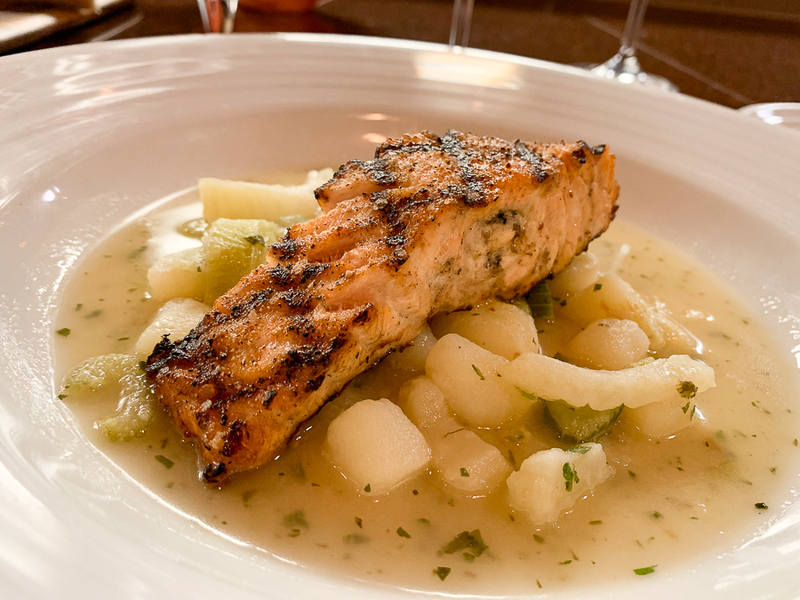 When you think of some of the finest restaurants you’ve dined at, you probably remember exactly where and when and what you ate. And more than likely, it’s in an expected location – the big city, a tourist mecca, an international destination. 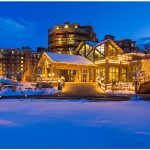 That’s why it’s always so exciting to uncover hidden gems in smaller cities and towns probably not too far from where you are. 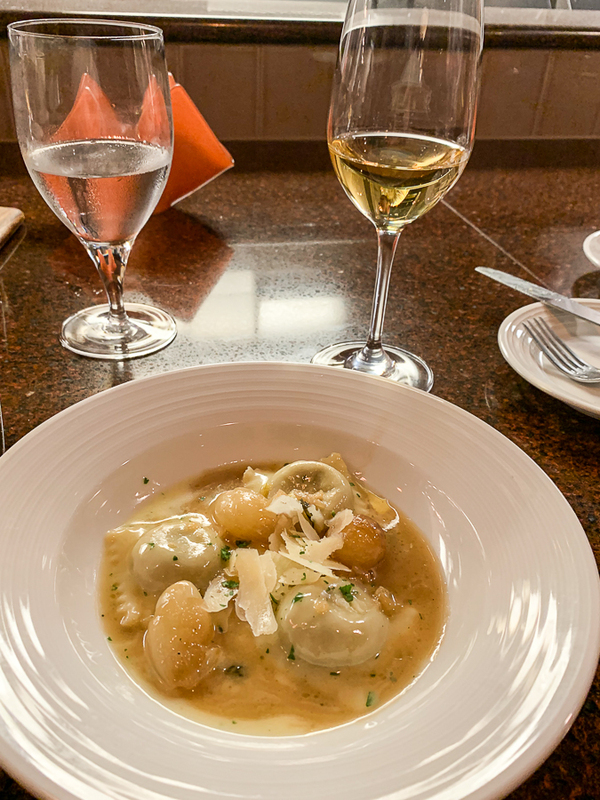 A visit to the Harrisburg and Hershey area a few months ago was the culinary surprise and delight I was looking for. 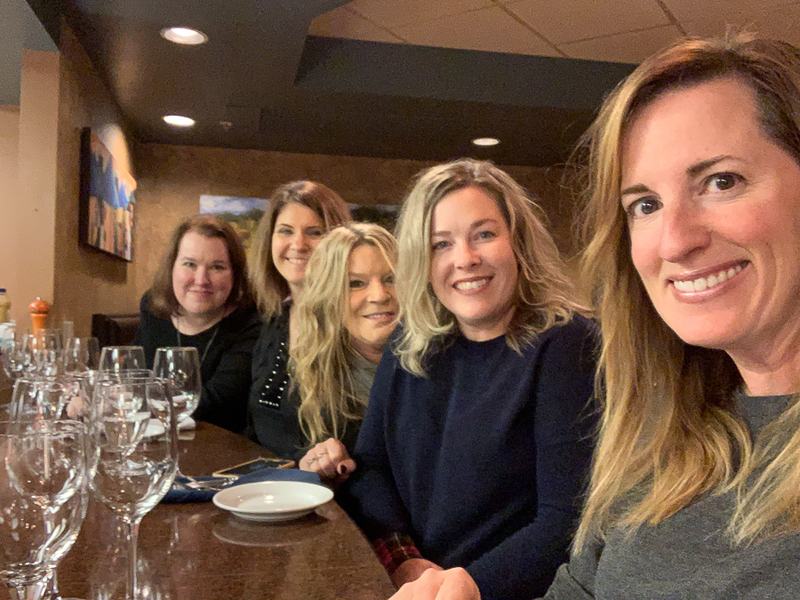 As a guest of Visit Hershey & Harrisburg, I invited four of my best girlfriends (who all happen to be travel writers) to explore a girlfriend getaway with me to the region. Our host planned an amazing itinerary full of wineries and breweries and activities that pushed us while making us laugh. But the thing that tied the entire trip together was the shared dining experiences. Dining with your girlfriends who happen to be travel writers gives you the best of all worlds. We all want delicious food that will photograph well. We know to get different dishes and drinks so we can sample each other’s. And we all acknowledge that calories don’t count when you’re with your girls. That means dessert is mandatory. 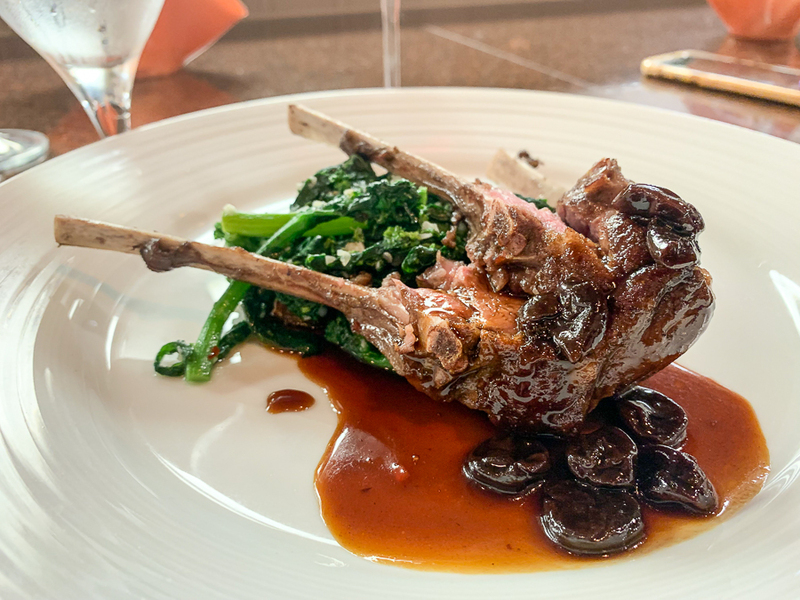 We ended up discovering quaint places, unexpectedly delicious foods, and literally some of the best dining experiences I’ve had in a long time. 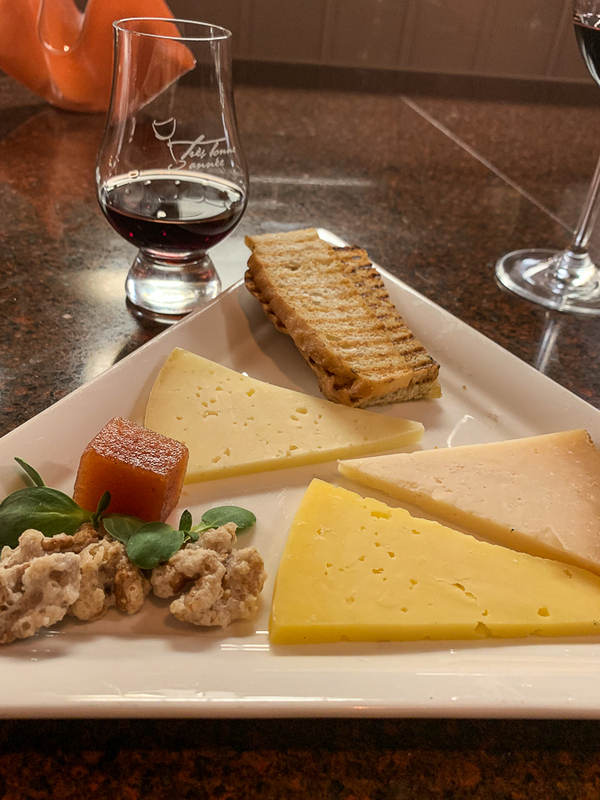 If you’re not convinced that the Harrisburg and Hershey area has some drool-worthy spots, I’m here to convince you otherwise. And maybe even convince you to grab a few girlfriends and head to Pennsylvania for that long-overdue girls weekend. We stayed at the Crowne Plaza Hershey-Harrisburg which is conveniently located in downtown Harrisburg and conveniently has a Starbucks in the lobby. Because we were eating a lot on this trip, we usually just grabbed coffee and a pastry in the hotel lobby. But one morning, I wanted to venture out for a good cup of tea. 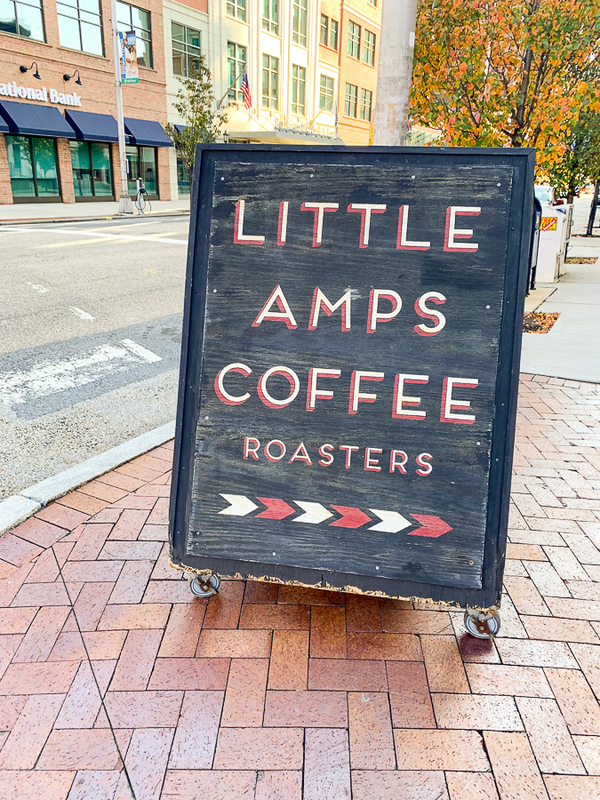 For a quick bite and a gourmet cup of coffee or tea, visit one of the Little Amps Coffee Roasters locations in the city. You’ll find a fun and inviting interior, without the commercial feel or prices. There are several locations in the city but I visited the downtown location on State Street. I know it’s a coffee shop but I actually went looking for a really good cup of tea. And I found it! Can you see the size of the tea bag and the GIANT tea leaves? And bonus: they carried stevia which is my preferred sweetener in my tea. Just outside the shop was a beautiful view of the State Capitol building. And I would have taken in the sights had it not been a bitterly cold morning! Luckily, this was just a short 10 minute walk from our hotel. Real tea and stevia – a perfect combination for a tea lover! On the mornings you do want more than coffee and a danish, I highly recommend checking out what seems to be THE spot for brunch. 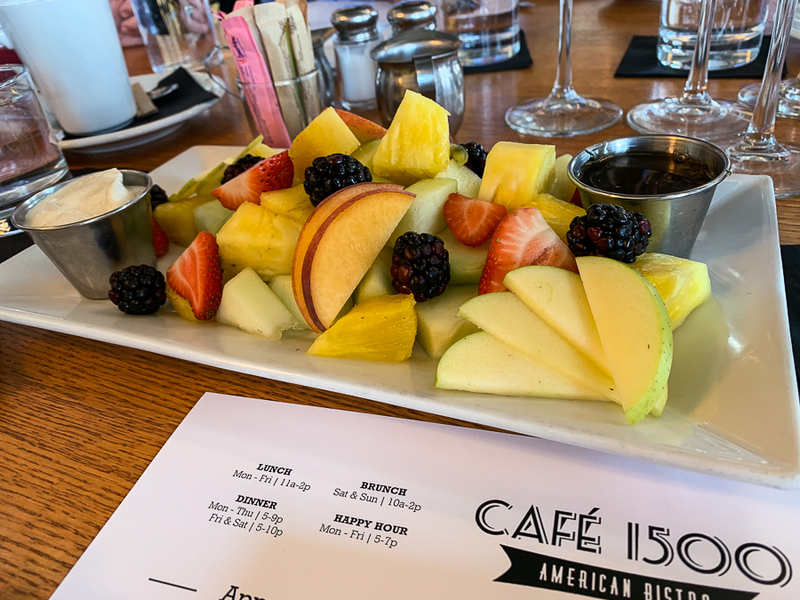 Café 1500 is situated in midtown and offers plenty of street parking. We arrived on a Sunday morning for brunch at 10am, right when the restaurant opens. And we weren’t the only ones waiting at the door. It pays to come early as the restaurant kicked into full swing pretty quickly. We started off with a nice tray of fruit and our requisite tea and coffee (for you fellow tea lovers, I’m happy to report they provided me a teapot and a lovely selection of teas). 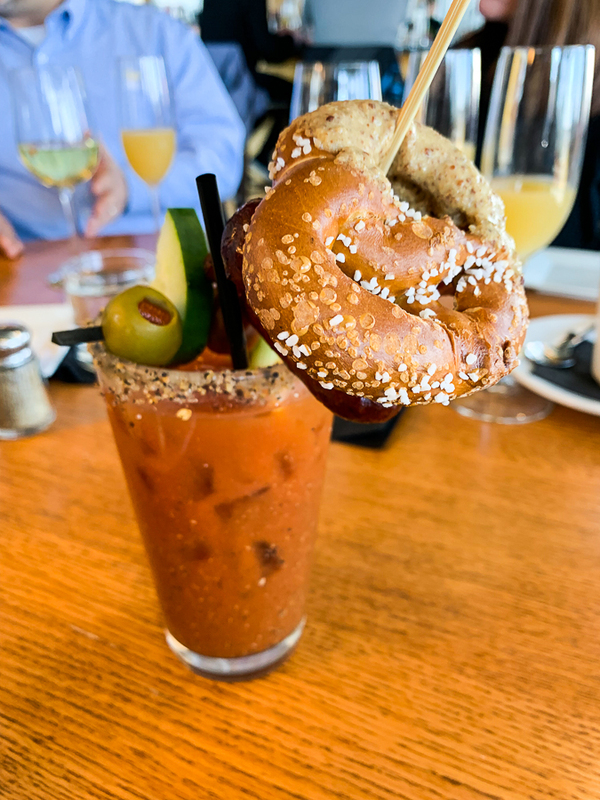 Starting off brunch the healthy way! Soon, our table was filled with everyone’s meal of choice. I went for my usual brunch option, Eggs Benedict, but chose “The 1500” way with proscuitto, tomato, avocado, and spinach. 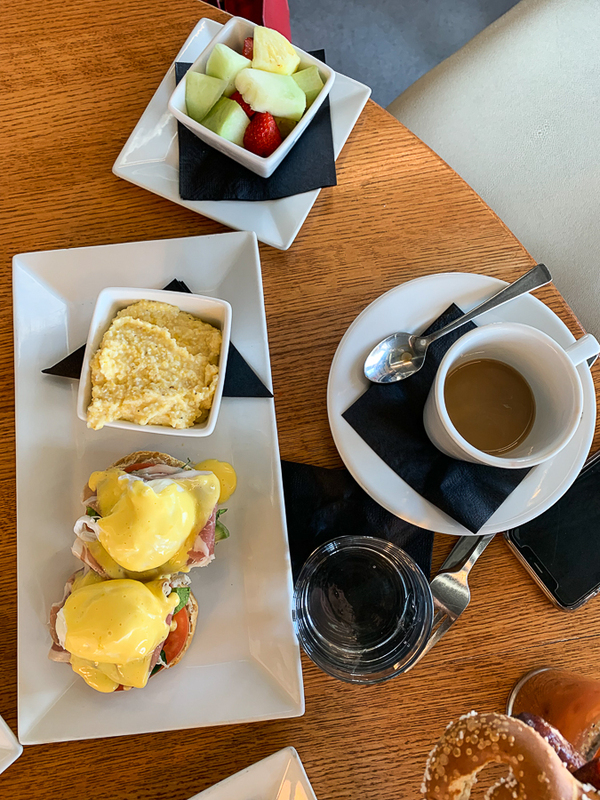 Eggs Benedict is served several different ways with a side of your choice. 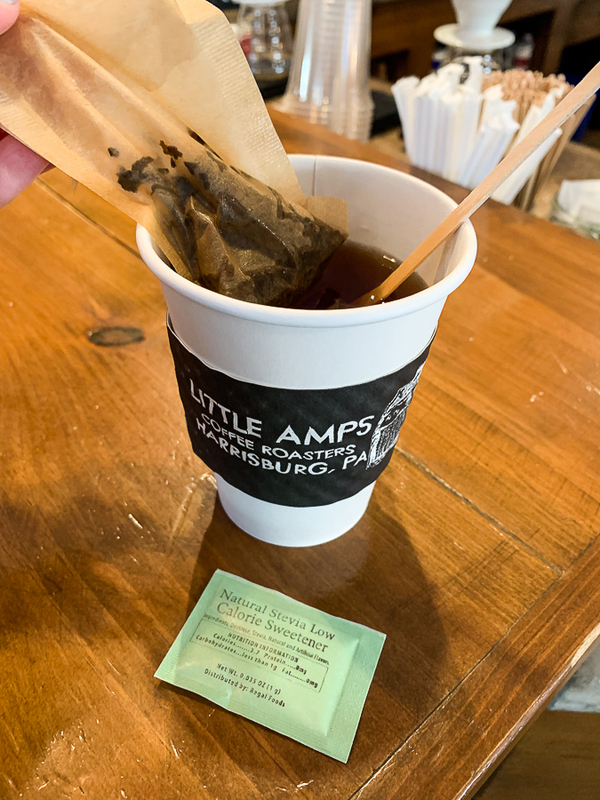 After a fun-filled weekend of wine and beer sampling, we were sticking to just coffee and tea. Until someone ordered a pitcher of mimosas. And then we saw our server walk by with a Bloody Mary that looked like it could be a meal. So we had to have one. 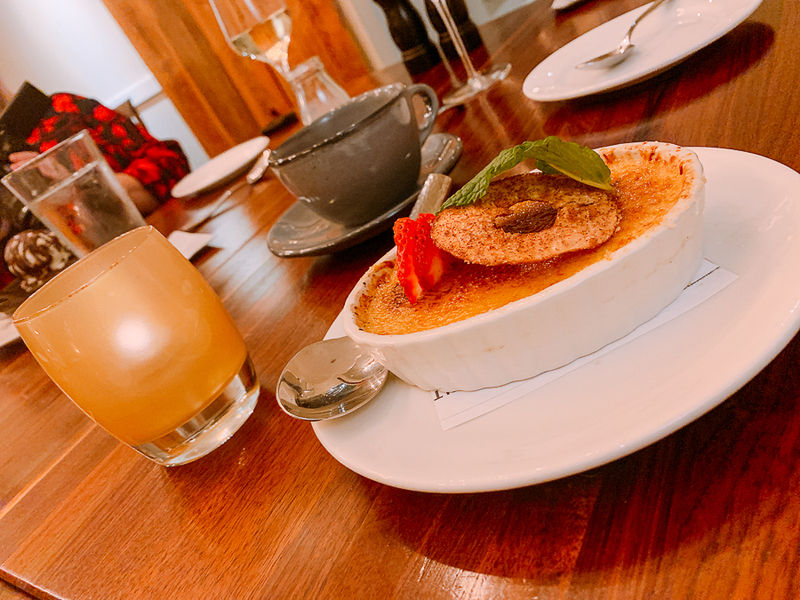 And in case you’re wondering if you can have dessert with brunch, you absolutely can. 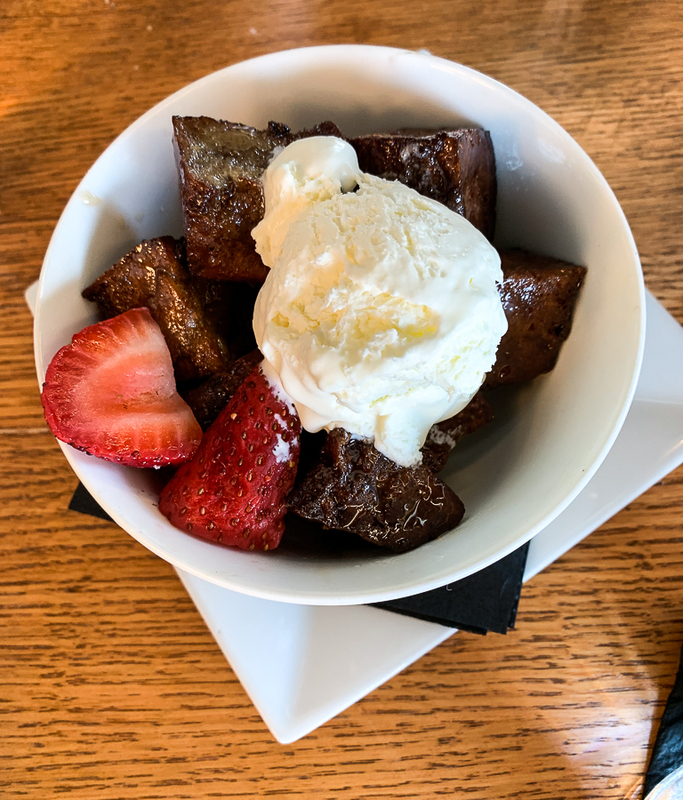 We all dutifully ate our protein for breakfast and then splurged on the French Toast Bread Pudding Bites. Technically, it’s an appetizer but I think it’s an ANYtizer. French Toast Bread Pudding Bites – it’s like dessert for breakfast! After breakfast comes lunch. 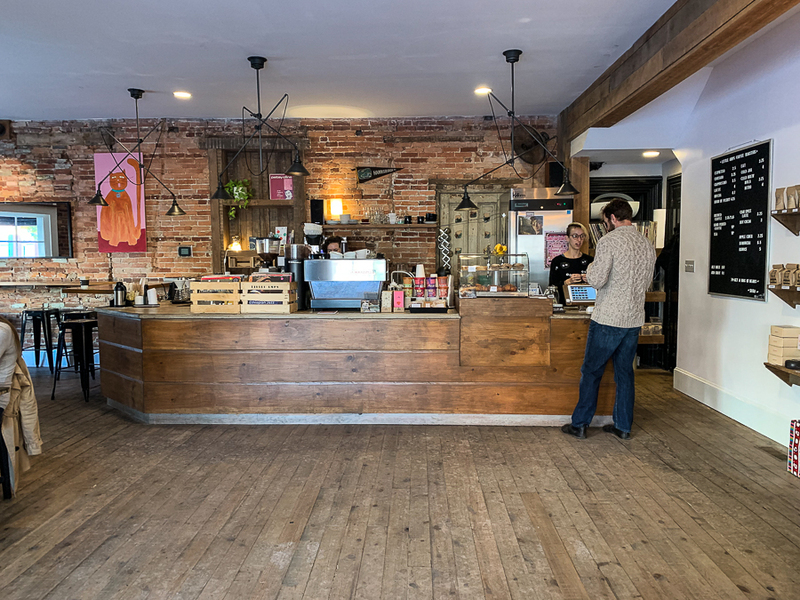 But the lunch spots we tried are so delicious and filling, you might want to wait on the big breakfast if you’re going to be sampling some of these lunch spots. 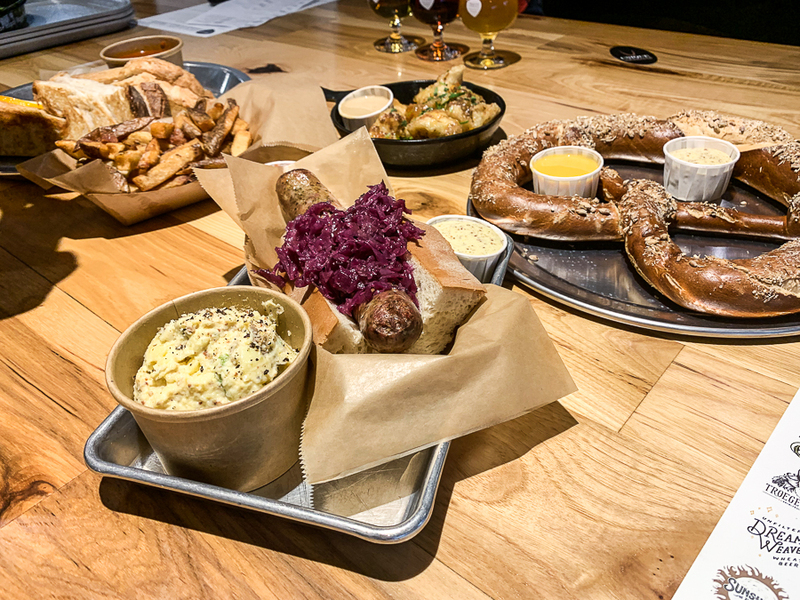 Before you tell me you don’t like beer and before you tell me that you don’t want to go to a “snack bar” for lunch, read on. 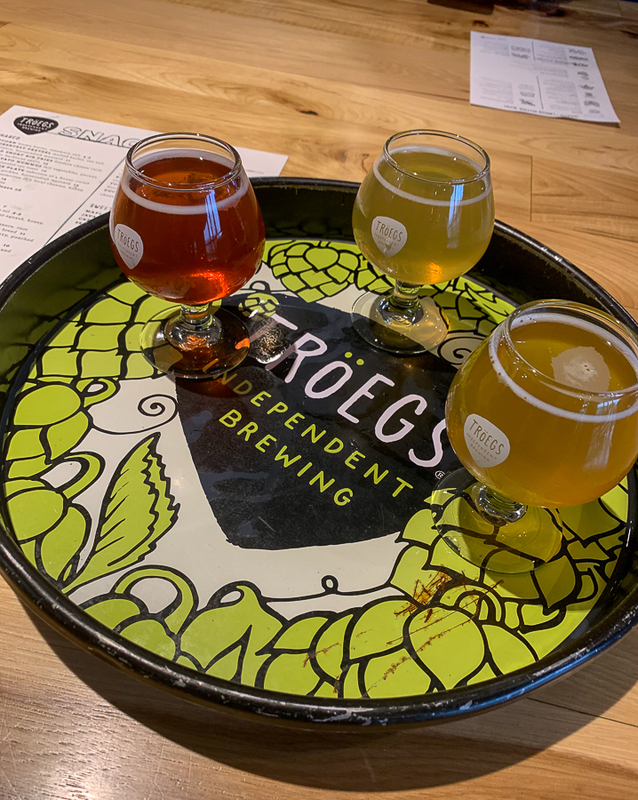 Troegs is a well-known brewery in Hershey but there location is not strictly for beer lovers. They’ve actually created a huge family-friendly tasting room and restaurant. It’s called a snack bar simply because you walk up, place your order, and then retrieve your order when it’s ready. But this is no bowling alley food. You can actually start a tab pretty easily by leaving your credit card at the beer taps or the snack bar and you can eat and drink until you’re satisfied. That’s what we did and it was incredible. A selection with recommendations from Troegs! Almost everything is considered a “small plate” so we all ordered several items. My husband told me to get the Oktoberfest Pretzel, made with malted barley and sea salt, which is served with cheese sauce and horseradish mustard. I also ordered the bratwurst on my server’s recommendation. 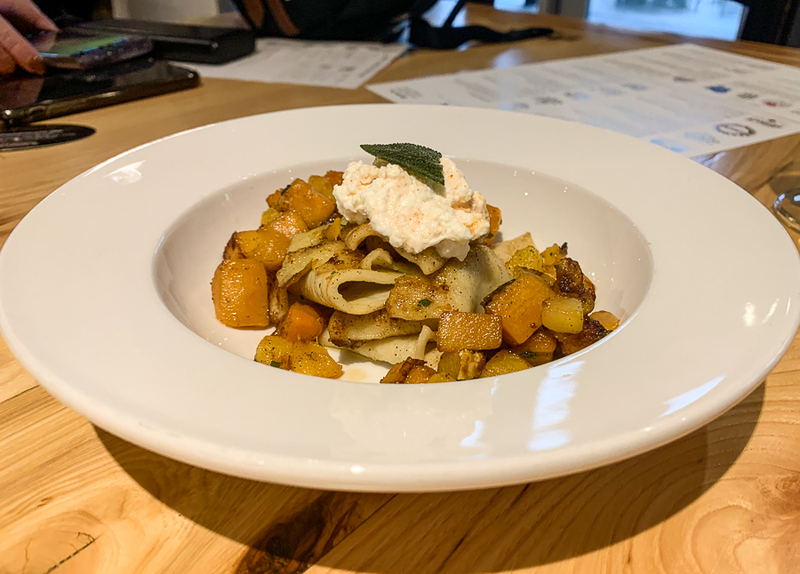 But my favorite item was the new-to-the menu Egg Noodles with butternut squash. However, don’t get your heart set on anything on the menu as it changes frequently. And if you’re worried about whether or not these small plates will fill you up? Here’s the aftermath of five hungry women! 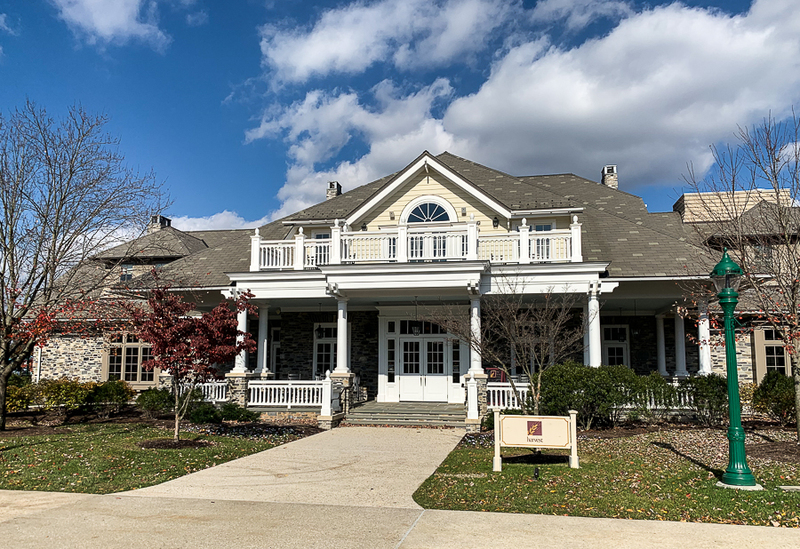 If you’re looking for a sitdown restaurant that appeals to everyone, you might want to head to the Hotel Hershey and then head to the building directly behind it. 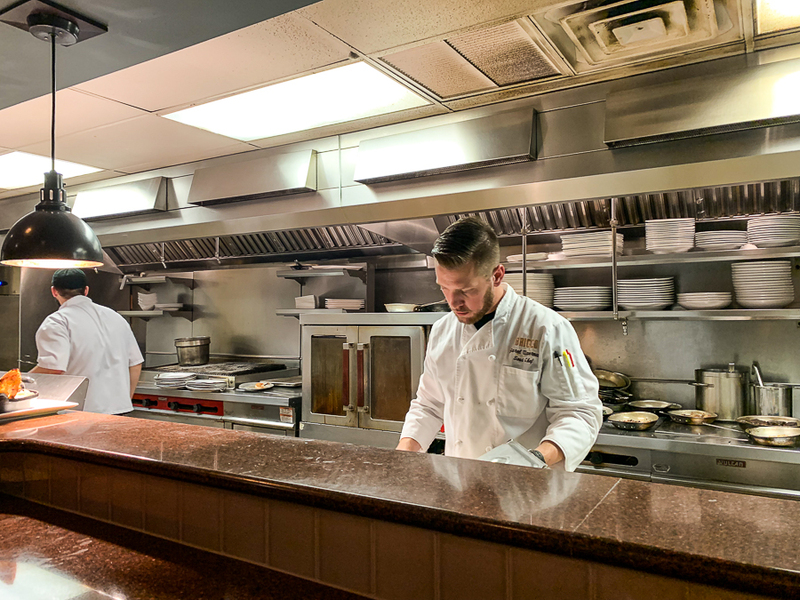 Tucked away in an obscure building is an upscale American eatery called Harvest. We dined here right before our Segway tour of the grounds began nearby. 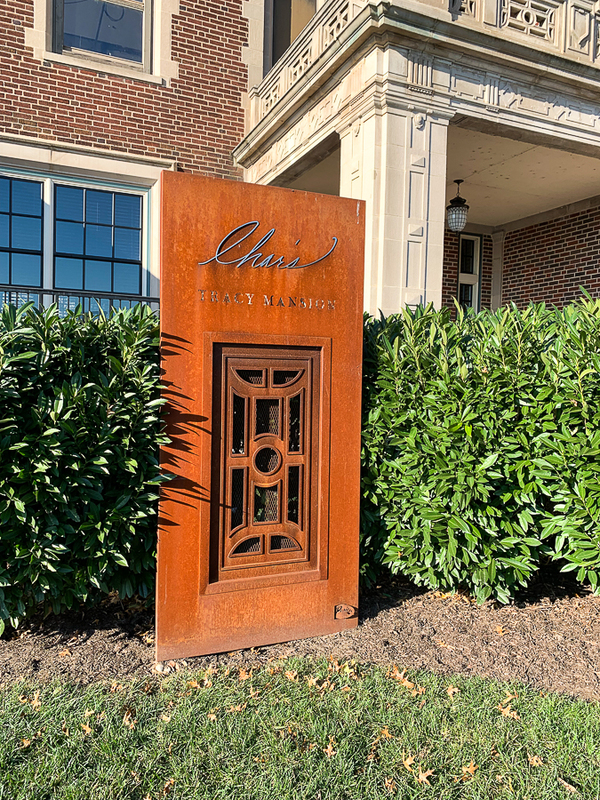 Harvest restaurant is located directly behind the Hotel Hershey. After so much eating, I was looking for a lighter meal. 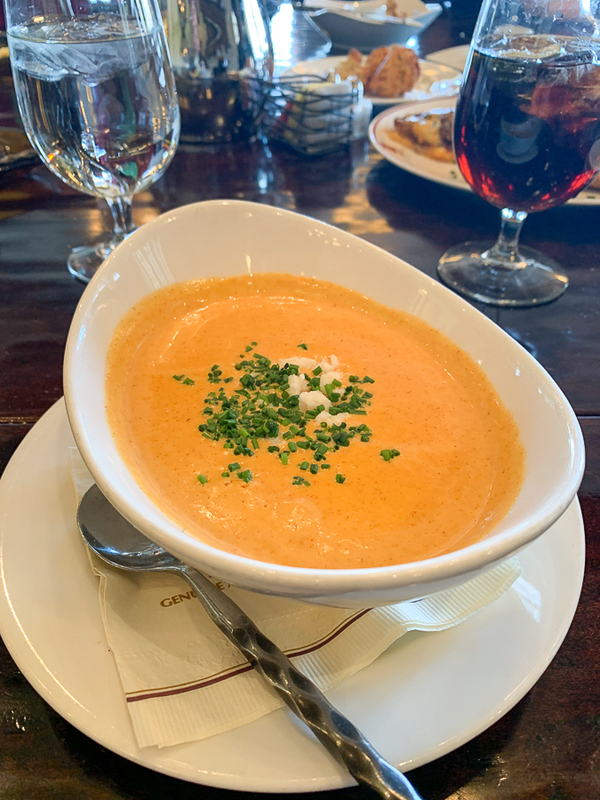 I ended up ordering the She Crab Soup, noted as “A Hotel Hershey Signature” and a small plate of potato and cheese pierogies (I love carbs when I’m traveling!). 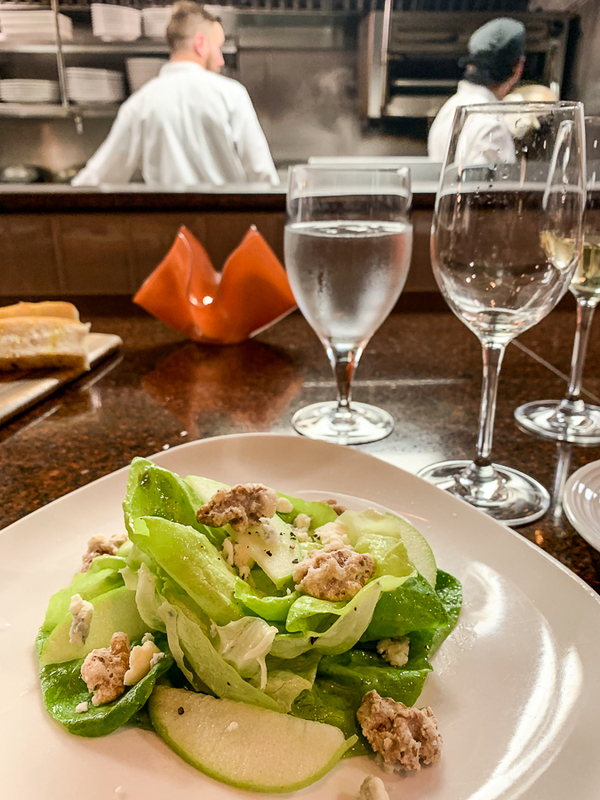 For the main meal, I ordered the Hotel Hershey Caesar Salad with oven roasted tomatoes and chicken (needed my protein!). 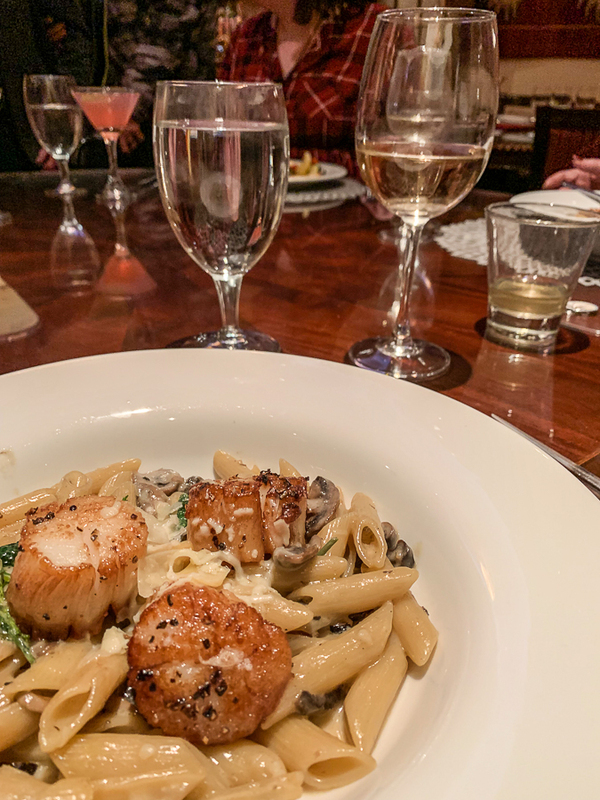 While we ventured out quite a bit during the day, when it came to our dinners – the culmination of our day together – we stayed closer to Harrisburg for some pretty amazing fine dining options. 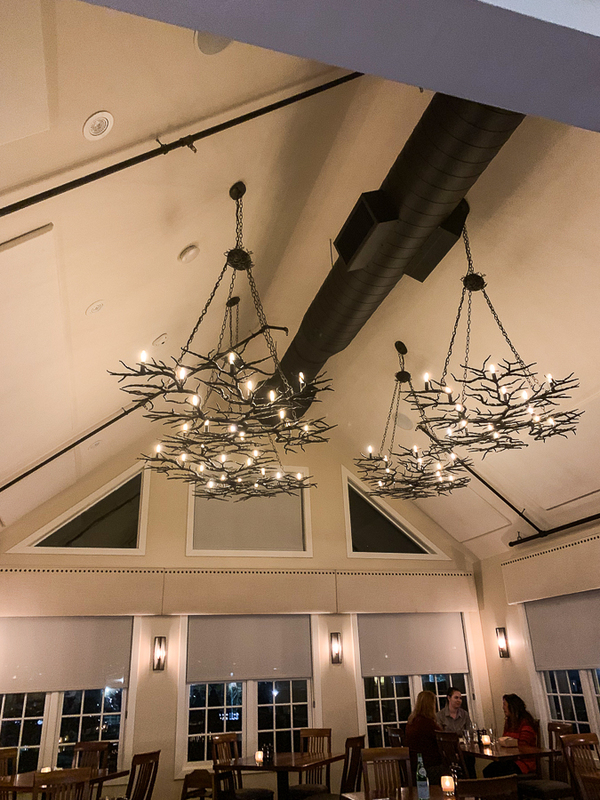 Our first night, we traveled north of the city for our official meet and greet at a local winery and then headed to Greystone Public House for our first taste of the culinary delights in Harrisburg. 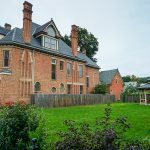 Greystone Public House still retains some of its historic roots. 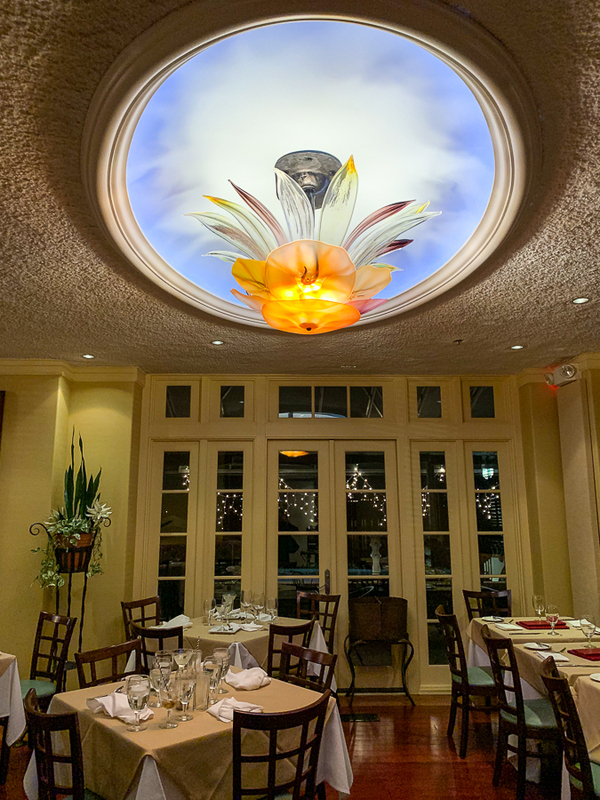 The building itself has a history dating back to the 1700s but its described as a casual but upscale restaurant. We spent most of our evening in a private area with a fantastic waitstaff who treated us to plenty of wine and food (don’t worry – we took an Uber). We started our meal with a veggie board that included kabocha squash hummus. 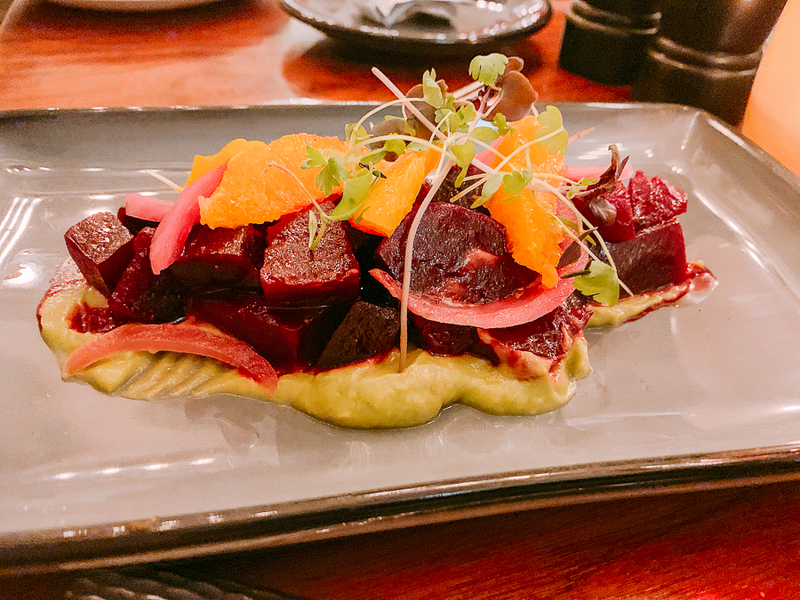 If you’re a beet lover like me, you should try the Salt-Roasted Beets with avocado puree and whipped goat cheese! 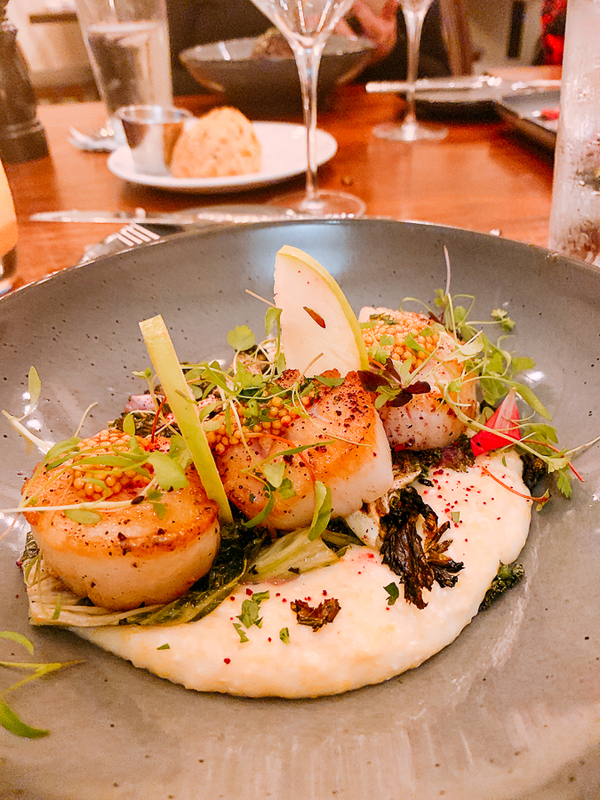 The scallops served on smoked cheddar grits with cooked perfectly! 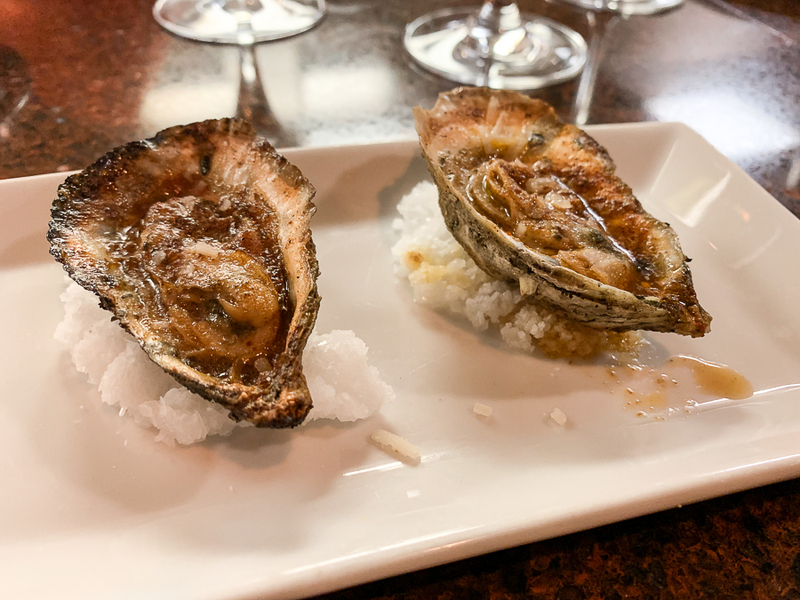 I’m happy to report that it was here that I actually tried my first raw oyster… and I survived! The trick is to have plenty of wine beforehand. 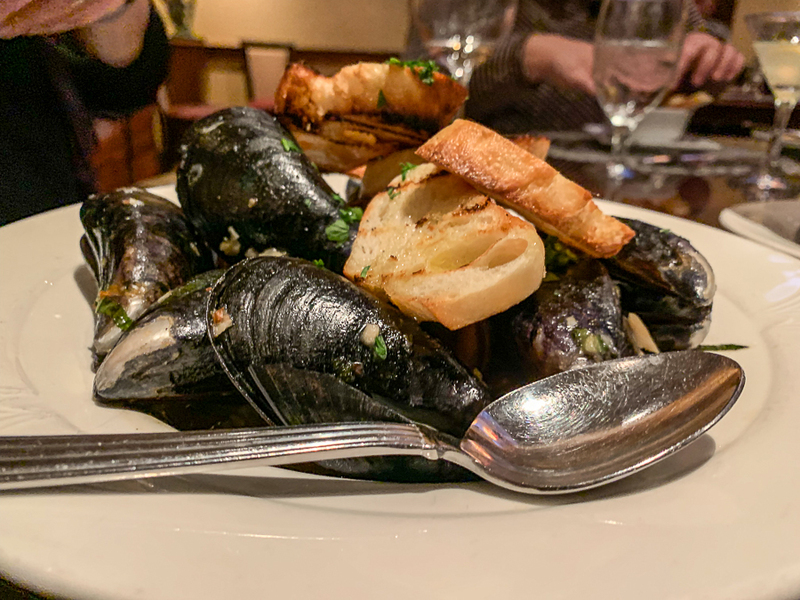 Our next culinary adventure was right next to the Crowne Plaza at a restaurant called Bricco, billed as upscale Mediterranean & Italian fare including pizza. If I’m being honest, I expected some nice wine and wood-fired pizza. And I would have been happy with that. But we actually had a chef’s table tasting called Table at Bricco. 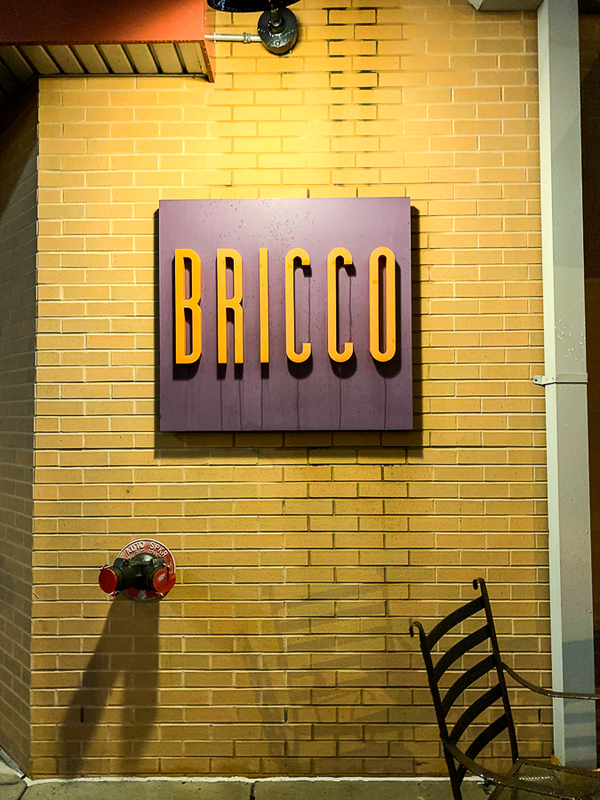 We had quite the girls experience at the Table at Bricco! Our chef hard at work for our Table at Bricco expeirence. I hate to play favorites when I’m visiting a destination but this was, by far, my favorite dining experience. Because it was an experience. We all sat directly in front of the kitchen, chatting with our server and the chef and they served six courses along with wine pairings. There was only one dish that didn’t resonate with me but it’s because of my taste preference, not the cooking. Admittedly, I am not a lamb lover but I did eat enough to know that it was tenderly cooked with excellent flavor. And I loved that we finished with a cheese plate instead of a heavy dessert. 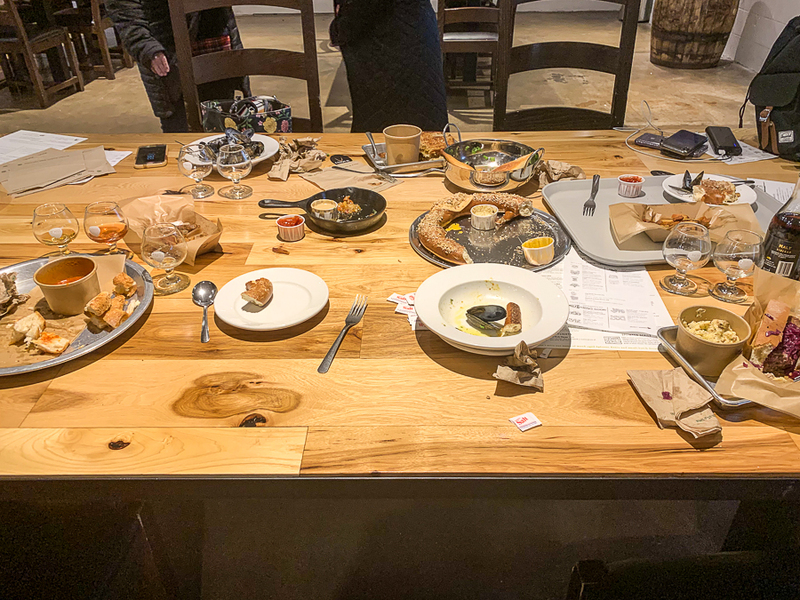 Although this was the chef’s table experience, I would imagine this is a pretty strong indicator of how good the rest of the food on the menu must be. 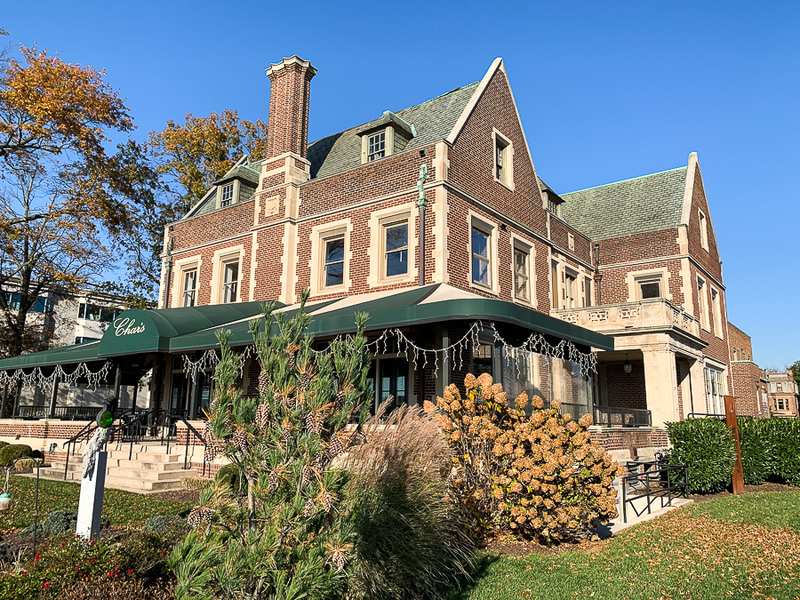 If you’re looking for that one meal where you dress up and leave the kids behind, Char’s at Tracy Mansion is the place. 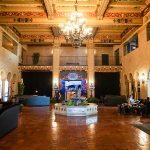 It has an old world elegance with food and drinks to match. For our last night, we took an Uber once again (on a warmer night, it might be walkable) and dined in one of the historic rooms on the first floor of this historic mansion. 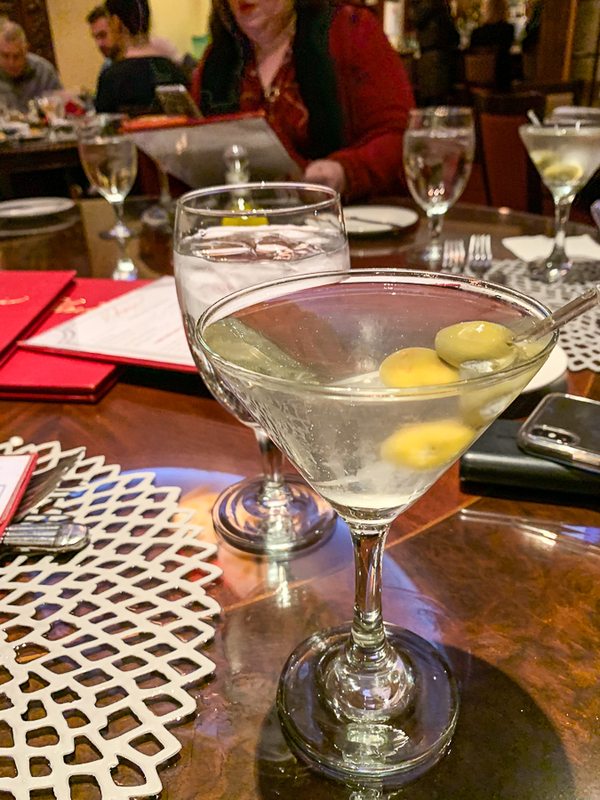 We all started the meal with an old world drink – a dirty vodka martini in my case – which was a very generous pour. From there, we ordered more appetizers that I can remember. I’m pretty sure we shared them all. At least I hope we did. 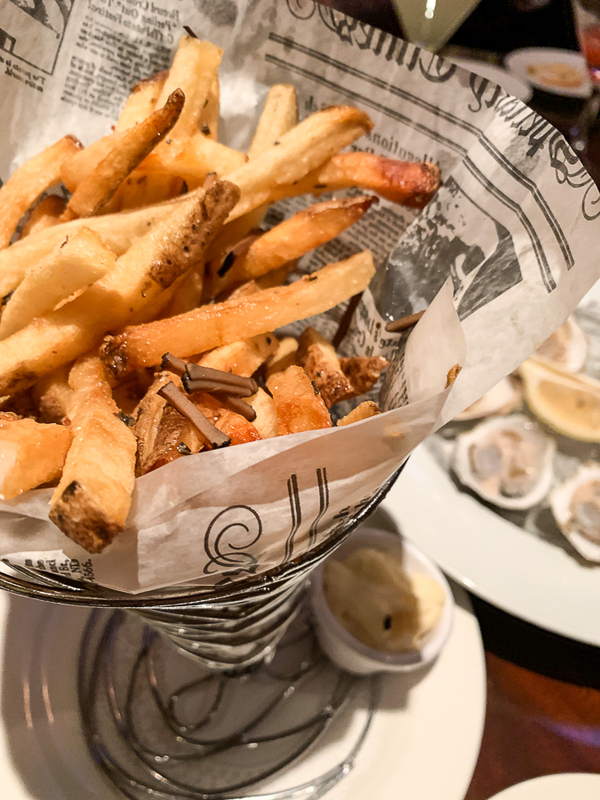 Pomme frites – you should know that I can’t resist anything prepared with truffle oil! 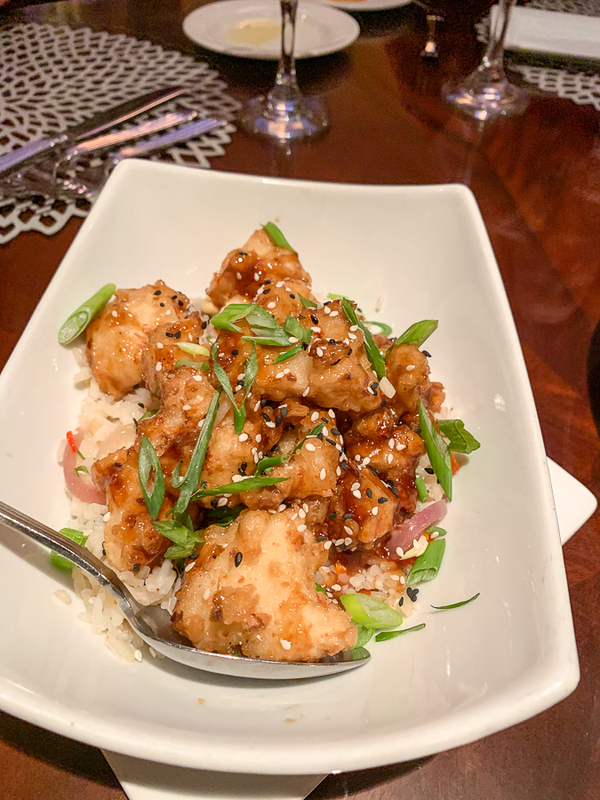 General Tso cauliflower – sometimes we ate vegetables! As if I wasn’t full enough, I ordered the Pasta du Jour which happened to be a beautifully prepared scallop pasta. And with that, I refused dessert and backed away from the table, certain that I had eaten my body weight while in the Harrisburg-Hershey area. We spent an amazing few days exploring the city, the food, the wineries, and getting to know each other even better. In fact, we’re all planning our next travel writing retreat in the Mid-Atlantic soon! 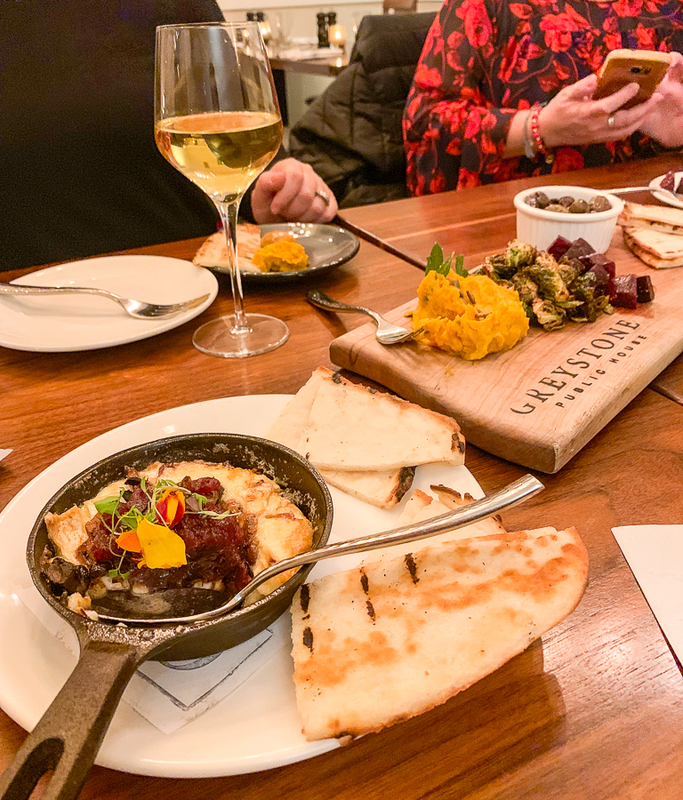 If you think you have to travel to an exotic or faraway destination to enjoy time with your girls, look no further than this gem in the Mid-Atlantic where you’re tastebuds will be truly surprised! 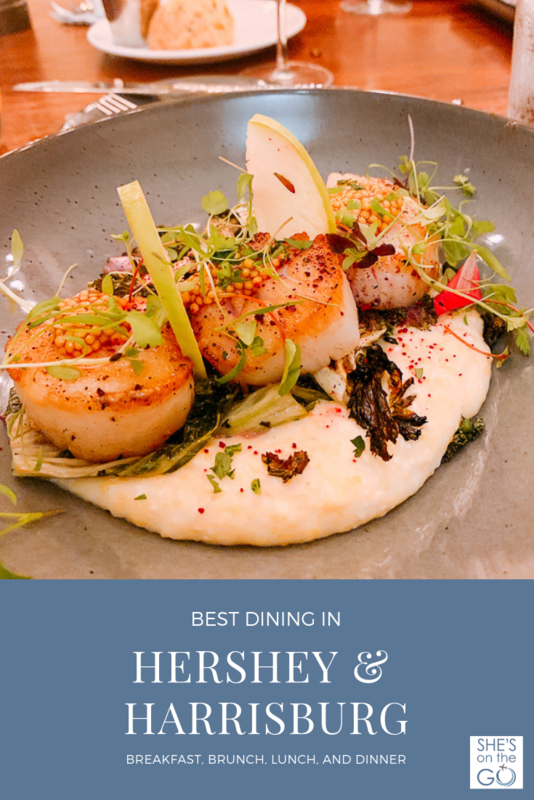 All meals were provided by the restaurants mentioned above (with the exception of Little Roasters) in conjunction with Visit Hershey-Harrisburg. All thoughts and opinions are my own. 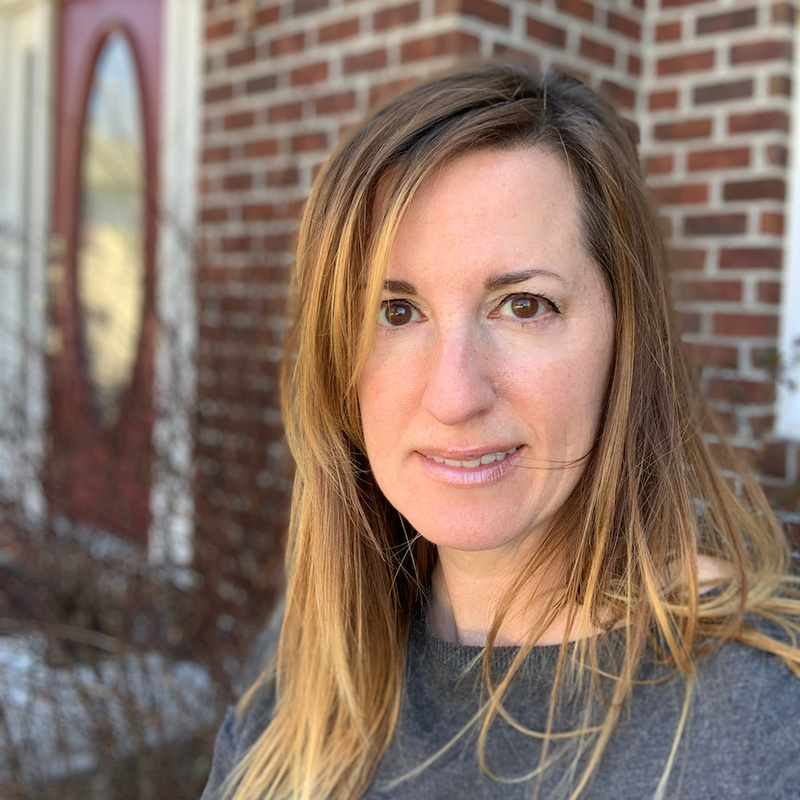 Fadra Nally is a lifestyle blogger at All Things Fadra who is always going, seeing, and doing – all with a sense of humor. Follow her on Twitter and Instagram, and watch her on YouTube.